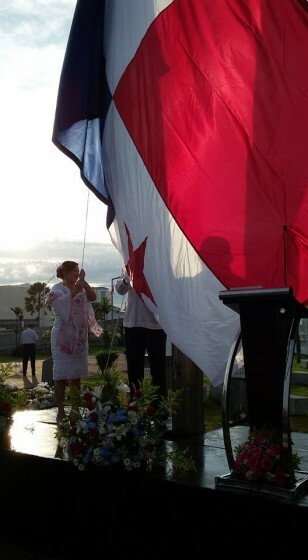 video of the national anthem in Juan Diaz by Allan Hawkins V.
Raising the flag in Colon. 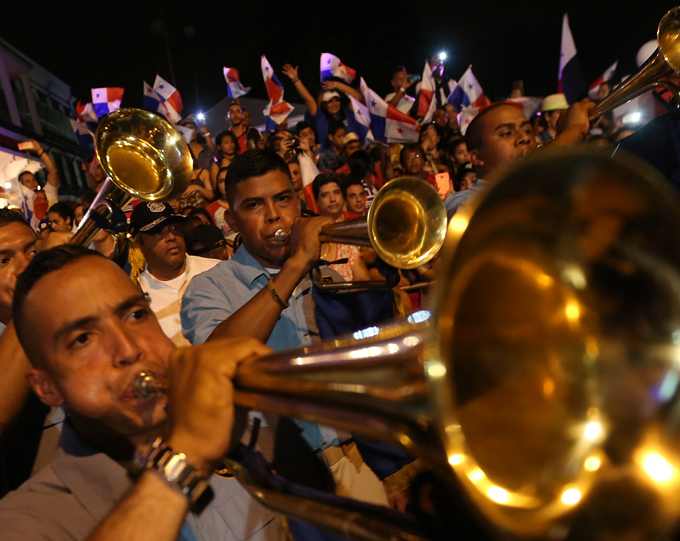 Photo by the Alcaldia. Dianas at the Presdencia. Photo by the Presidencia. 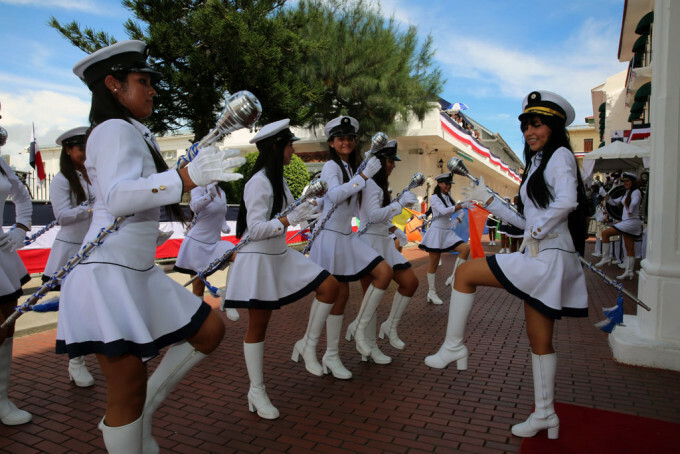 Marching in Los Santos. Photo by the Bomberos. 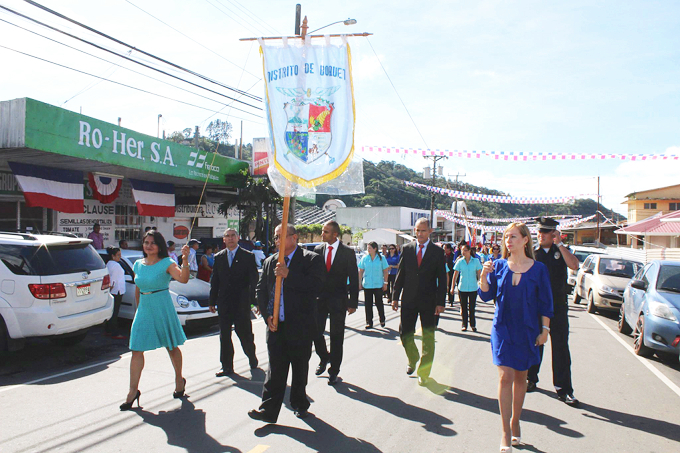 City workers parade through Boquete. Photo by the Alcaldia. 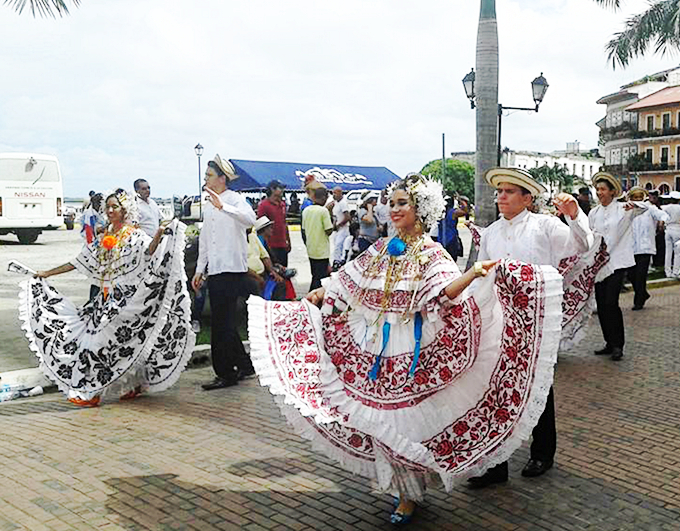 Gathering in the Casco Viejo. Photo by Chris Taylor. 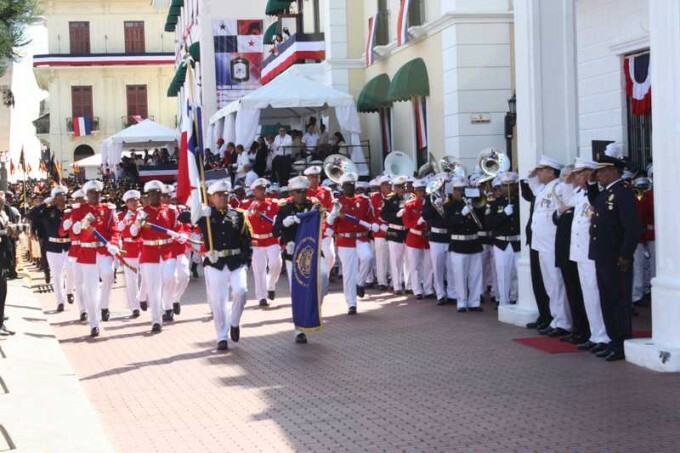 The parade begins in the Casco Viejo. 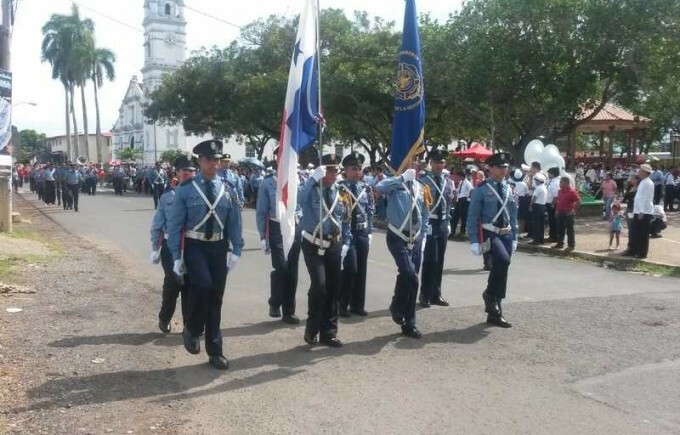 Photo by the Bomberos. Polleras sí, Instagram no. Photo by Chris Taylor. Assuming the position. Photo by the Presidencia. 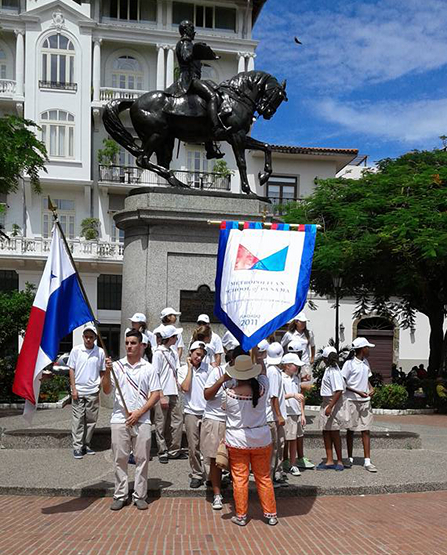 Colegio Episcopal kids. Photo by Chris Taylor. 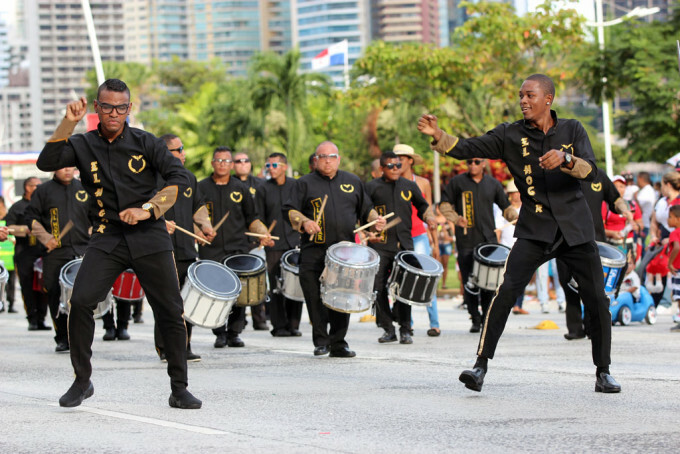 Banda El Hogar, one of Panama’s independent bands, a tradition that the previous administration tried mightily to suppress. 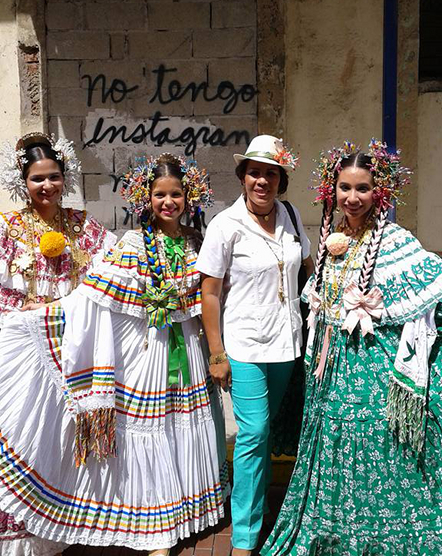 Photo by the Presidencia. 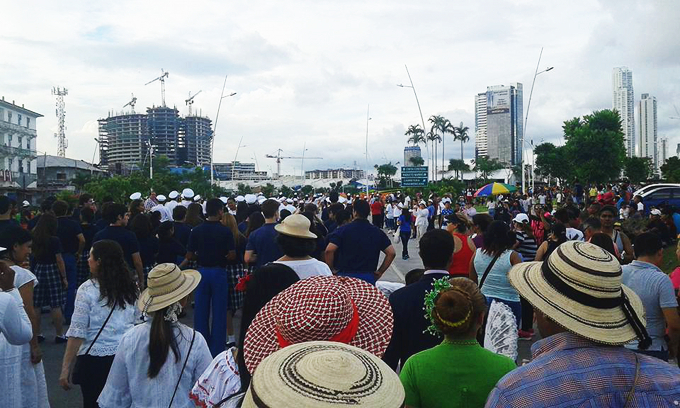 The crowd along the Cinta Costera. Photo by Chris Taylor. 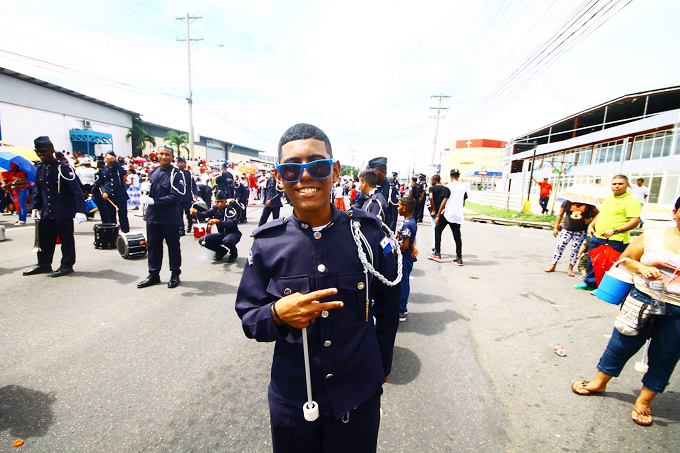 Drummer in Juan Diaz. 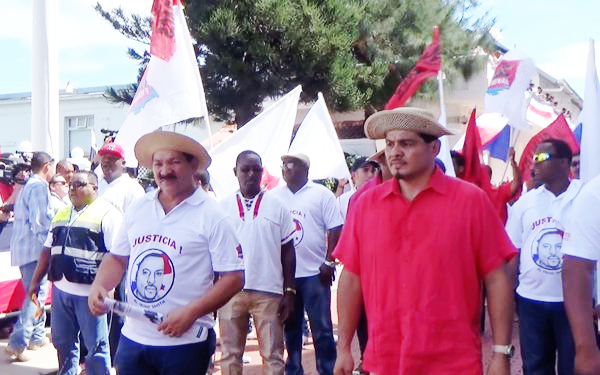 Photo by Allan Hawkns V.
Labor leaders Genaro López and Saúl Méndez. Photo by FRENADESO. 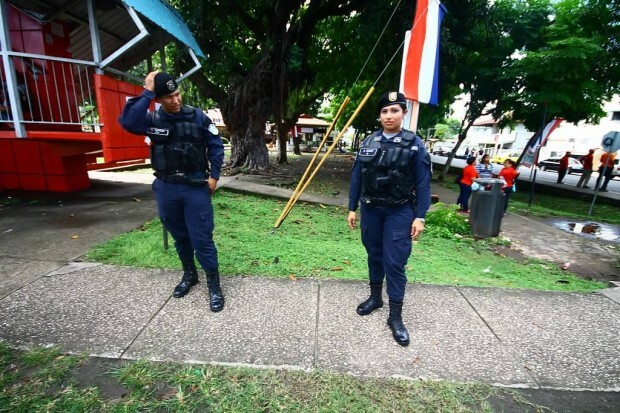 Cops in Juan Diaz. Photo by Allan Hawkins V.
Next articleJackson, So what about this flag?